The 2 litters are now as one!! 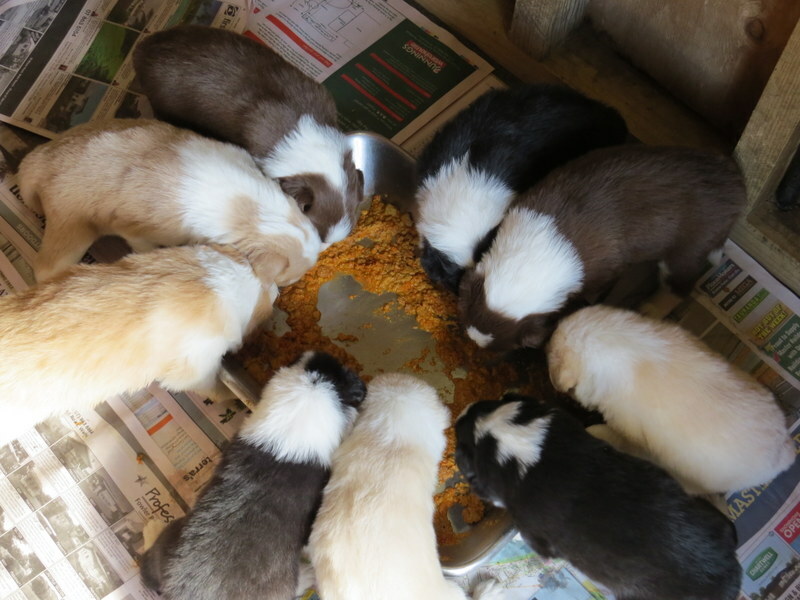 I have moved them into the puppy run & started them on real food & so far so good. It is nice having them inside & listening to them talking & having them so readily available for cuddles but they need more room now & once they are on solids they do have to be outside. I have some pups still available for homes so please email or phone me. Black pups all homed. catherine@bordercollie.co.nz or 07 549 3131… keep trying me as I may be out in the puppy run!!! It was lovely to meet Terry & his 2 girls Gemma & Ellie. They are looking forward to taking their little pup Max home. It was a long trip for them to come & visit so thanks Guys for such a great effort..